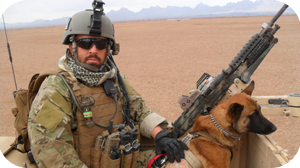 The K9s of the War on Terror will be constructing a monument that exemplifies the cooperative nature between military, government, and law enforcement agencies in this nation's War on Terror. 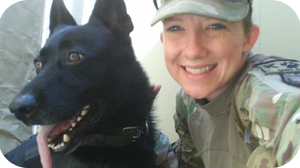 We gladly accept pictures of dog teams from any Military, Department of Homeland Security or Law Enforcement k9 handler. Click here to email your photos. Please include a brief description of the photo and the name of the photographer so that we can provide photo credit. 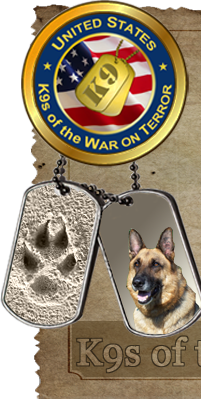 Recognition For Dogs Of War"
purchase will be donated to the K9WT. 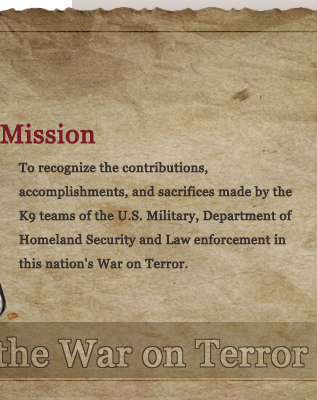 made by the K9 teams of the U.S. Military, Department of Homeland Security and Law enforcement in this nation's War on Terror.